Healthy For Good™ is the American Heart Association’s new movement to inspire all Americans to live healthier lives and create lasting change. It focuses on the simple idea that making small, incremental changes today can create a difference for generations to come. The movement is built on four pillars: Eat smart. Add color. Move more. Be well. We have a new resource listed on the Fitness page. Spokes Fighting Strokes offers free adaptive cycling sessions (trikes provided) every Thursday at Curtis Park in Tucson. Sessions are at 10 am and 1 pm. Preregistration/RSVP is required. Contact Lise or Dan at (303) 249-8621 or dan@spokesfightingstrokes.org and provide the following information: height, weight, which side is affected and level of functionality (wheelchair, cane, assist needed, etc). Make every day healthy eating day! The American Heart Association sponsored a National Eating Healthy Day on the first Wednesday in November. Visit the AHA website to learn more about healthy eating – just in time for the holidays! 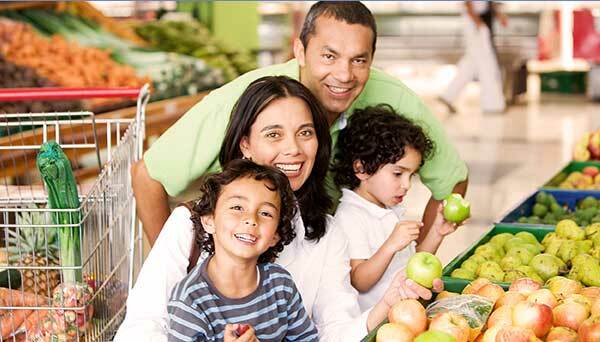 The U.S. Department of Health and Human Services offers heart healthy food tips. Eat less saturated and trans fats. Avoid fatty meats, fried foods, cakes, and cookies. Cut down on sodium (salt). Look for low-sodium or “no salt added” canned soups, vegetables, snack foods, and lunch meats. Get more fiber. Fiber is in vegetables, fruits, and whole grains. Over the next few weeks we’ll highlight research presented at the 2015 International Stroke Conference. Learn more about the Mediterranean diet at the Mayo Clinic.